Many of us secretly (or perhaps not-so-secretly) dream of owning our very own space outpost. But let's face it -- that idea definitely seems pretty "out there", right? Most of us are still saving up for our ride to space, let alone an entire space station. Even with these significant milestones, however, the MirCorp ultimately had to close its doors and the space station Mir was deorbited in March 2001. The story of MirCorp was picked up by Director Michael Potter, who decided to produce a documentary to share "the greatest space story never told". The result: "Orphans of Apollo", an award-winning film which Michael Potter will be premiering in the LA-area this Friday, May 28th, 6pm at the Historic Warner Grand Theater. Tickets are $10 (buy them here), and SpaceShipOne pilot Brian Binnie will be speaking at the event as well. Come one, come all! Some of the Google Lunar X PRIZE staff certainly plans to attend, and we'd love to see you there if you can make it. 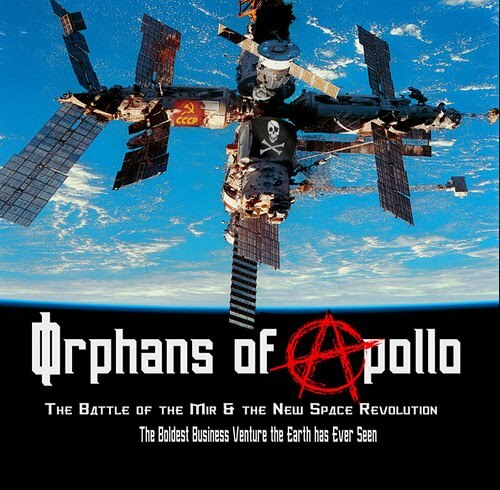 If you can't join us but are still interested in the film, the DVD is available on the Orphans of Apollo website.